Mr. Cyril (Korachen) Sebastian Thachenkery, 80 yrs, of Brookfield, WI, entered into Eternal Life on Saturday, March 30, 2019, surrounded by his beloved family. He had been suffering from Progressive Supranuclear Palsy (PSP), a neurological condition, since 2015. Cyril is survived by his loving wife of 51 years, Dr. Maria (Ammukutty) Cyril Thachenkery, MD (née Mariamma Lukose Mannickarottu, Adoor), and by both his cherished daughter, Terri, and granddaughter, Téa. Surviving also are his brothers Cyriac (Leela), Joseph (Violet), George (Dolly), Cherian (Pauline) and Alex (Nirmala), sisters Mary (Prem Mattappally) and Santhi (Tom Kavilaveettil), in-laws, cousins, nephews and nieces. Cyril was born in Changanacherry, Kerala, India. He was predeceased by his parents Sebastian (Kuttappan) and Thresiamma (Kunjamma) Thachenkery. An elder brother, Mathew, and sister-in-law, Lilly, also predeceased him. Cyril was a graduate of St. Berchmans College of Changanacherry and of Villanova University (MSME, ’66). He started his mechanical engineering career in Philadelphia with the Westinghouse Corporation. He continued his career working as a design engineer. 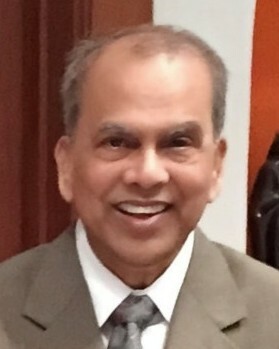 Cyril was a president of the Kerala Association of Chicago. He was active in the Malayalee Community's Arts and Entertainment Events and was fond of entertaining family and friends with his natural singing talents. Visitation hours will be held on Thursday, April 4, 2019 from 4:00 PM to 8:00 PM at the Becker Ritter Funeral Home, 14075 W. North Ave., Brookfield, WI 53005. The Mass of Christian Burial will be held on Friday, April 5, 2019, at 11:00 am, at Saint Luke Catholic Church, 18000 W Greenfield Ave, Brookfield, WI 53045. A private interment will follow, attended by family. Cyril's family wishes to express their gratitude to Mr. Jose Kattikattu, his caregiver, and to the staff of Zilber Hospice in Wauwatosa, WI. In lieu of flowers, you may wish to donate to: https://www.psp.org/ in Cyril’s name.